Adelaide based photographer James Tylor is a hidden gem among the photography industry. 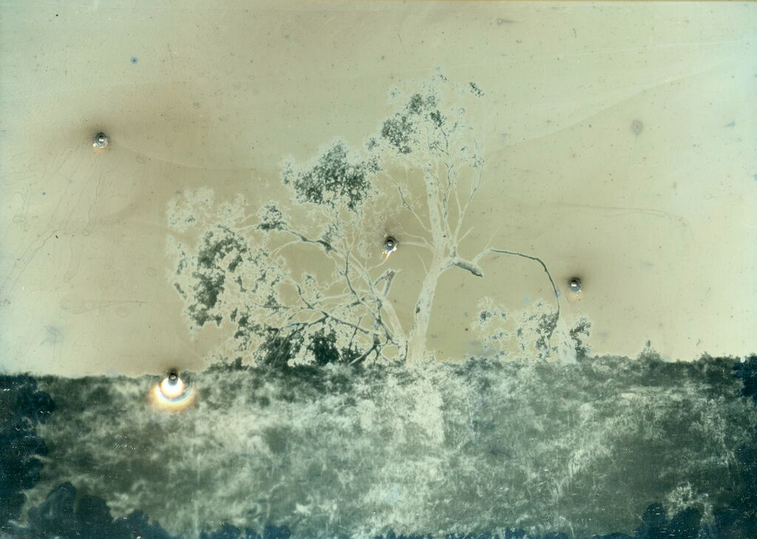 Using tarnished silver plates, Tylor uses the historical Becquerel Daguerreotype technique, creating captivating images of Australian landscape, history and misconceptions. To give you an insight into the intriguing world of Tylor's inspiration and heritage, we wanted to find out what makes him tick. Or click. At 27, Tylor’s career was kick-started when he won the Macquarie Group Emerging Artist Prize. While separating the protective layers of bubble wrap from around his delicately framed photographs, Tylor explained how this prize was what gave his career 'legs'. 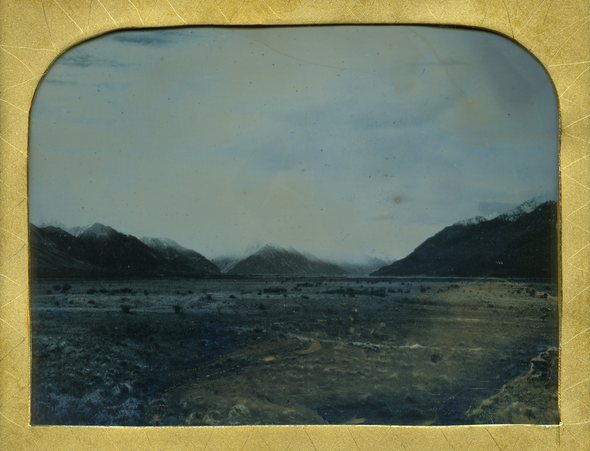 As he handed me two framed pieces of his artwork laced in gold, I stared in awe; the Becquerel Daguerreotype photographs were more beautiful in person than ever imagined. “Because I’m talking about historical things as well, it helps to make people think of the historical images as they’re so unique and rare, which a lot of photographers aren’t using” he said. Tucked away in a side alley off North Terrace, Tylor's studio is crowded and compact, with 16 different artists sharing the same space. The room is messy but bright, with tables in awkward positions and bricks piled on desks; while paint chips stain the tired and scuffed floorboards. It’s definitely a space where strong concepts and creations are made. Each of the photographs Tylor produces stand together. "Not one image will stand alone… the whole series of work will say one thing and it will be weakened with only one image” he says. Every photograph is designed to aesthetically to compliment one-another as a whole, but this is never the main focus for Tylor. He says, “it’s more [about], does it look and say what I want it to say?" One of these series is portrayed above. Tylor specifically used these photographs as a method for self-representation, to express the difficulties his family and ancestors endured throughout the years of colonisation. Also representing the loss of identity within the Indigenous Australian culture. The shock factor of this series relates to the reason for the bullet holes. On the right hand side of this land there is a ridge where Tylor's ancestors were used for target practice. Once his images were complete, Tylor shot the plate with a 410 and 12 gauge shotgun to acknowledge the conflict that took place between the native Indigenous Australians and the early Europeans who occupied the land where his family farm now lays. Each series helps to reflect the importance of Tylor's Australian Indigenous heritage. Not only are the prints aesthetically pleasing, they help to explore the rich culture of his background whilst also educating people. Tylor’s heritage is large focus of his work, with a European Australian heritage of English, Scottish, Irish, Dutch and Norwegian alongside his Aboriginal Kaurna language and Māori iwi (tribe), Te Arawa. How does Tylor find the settings to take such amazing photographs? ...Hitchhiking. Hitchhiking provides Tylor with understanding of the land's geographical patterns, giving him flexibility and cheap transportation. This is important as his photographs focus on capturing landscapes with rich history. His use of technological processes when hitchhiking and trekking are surprising. Due to the inconvenient weight and size of his historical camera Tylor uses his iPhone to take photographs. “I have a film camera and my iPhone, which is what I take all of my paper prints with. What I print digitally is always shown on film and what is printed using historical processes is shown digitally… it’s the opposite." The images were definitely like nothing I had ever seen before. However, my respect and appreciation grew even further, after spending the day producing an image of my own. The process is tedious, lengthy, delicate, and costly; one wrong move can ruin the final outcome of the photograph. Although the hours are long and the processes are hard, Tylor’s sources of inspiration are never lacking. Stimulated and inspired by day to day activities and hobbies, Tylor doesn't switch off his brain that easily. To find out a little more about this intriguing man and his incredible body of work, check out his website.